Daisy is one of my favorite flowers when I was in grade school. We have many different kinds of colors in our school flower garden before. 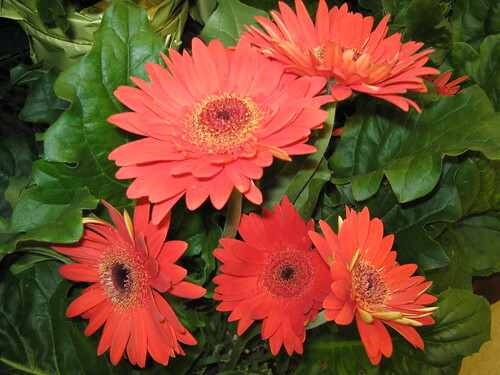 Today, orange daisy is my simple contribution for this week Today's Flowers. These kinds of flowers are very common and easily grown in dry and sunny areas. It's nice for wedding arrangements, bouquets and Halloween decorations. Thanks to Luiz Santilli and Denise BC for hosting the site. To all my friends online, if you love to participate feel free to join and don't forget to add your URL in the auto link. By the way, if you are searching for the cheapest body building supplement for your sons and loveones, Hemadrol is the best. It's the most effective muscle growth supplement, best fat loss, gain muscle fast, safe, gives energy and strength to your body. If you interested just visit store.bodybuildingfactory.com and buy online. They are lovely shades of orange ... almost apricot coloured on my screen! Very vibrant colours, they sure light up a room. 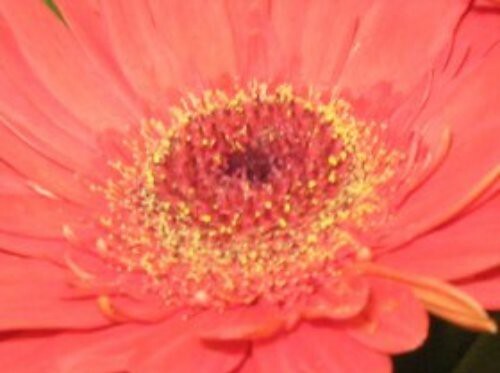 I love gerber daisies and yours are a lovely colour. Beautiful gerberas, Norm. I just returned from your country - an amazing trip to the Yukon. One of my favourite flowers at all times!